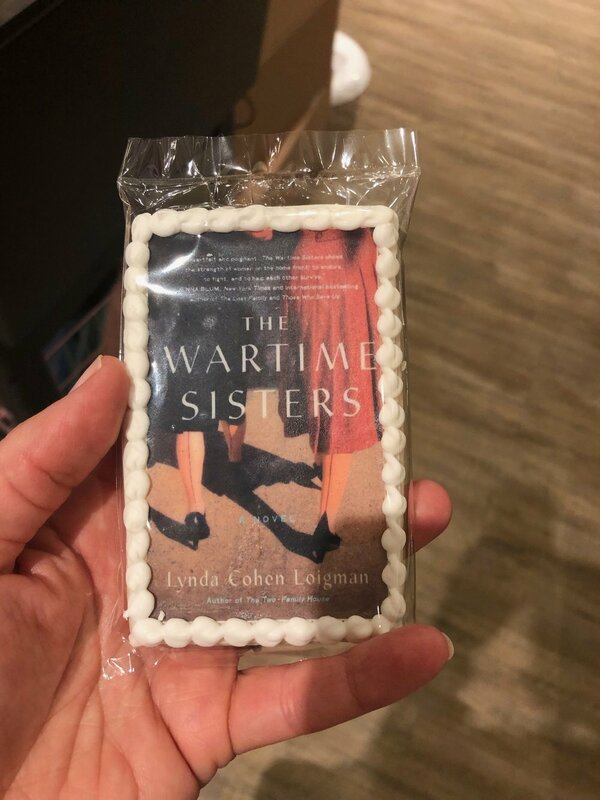 I'm here today with Lynda Cohen Loigman, the author of The Two-Family House and The Wartime Sisters. Lynda was a trusts and estates lawyer before raising her children with her husband in the suburbs of New York. A Harvard College and Columbia Law School graduate, Lynda is originally from Longmeadow, Massachusetts, near where The Wartime Sisters took place. Lynda Loigman: Thank you for having me. I'm so excited. Zibby: Lynda and I are both sitting here in the middle of winter with colds, so bear with us. Lynda: Yes, we’re a little sniffly, but you won't mind. Zibby: At least we can’t get you sick from the radio. Can you tell listeners what The Wartime Sisters is about? Lynda: Yes, I will. Describing this book is a little bit more difficult than with my first book. In a way, it’s almost two different things. It’s a family story, first and foremost. It’s about two sisters who grow up in Brooklyn. They are opposites. They don't get along. Their parents contribute to the rift that develops between them. They become estranged. They are joined back again together and at the Springfield Armory at the start of World War II. It’s also a home front story. It’s those two different things. I think of it as a family story first. That's partly because of the way it came about, which I know we’ll talk about, I'm sure. It also really does involve that greater sisterhood of women who worked at the Springfield Armory during the start of World War II. Zibby: Let's just go right there. How did this story come about? Lynda: My mom grew up in Brooklyn. I used that setting for my first book, The Two-Family House. She moved to Springfield when she was eighteen. She actually stayed behind her family for a few months because she was finishing high school. When I went to write my second novel, I wanted to write another family story. I wanted to write about that transition of a family from a big city to a smaller city. I wanted to write about somebody being left behind. I had this theme, also, of the roles of childhood that we’re assigned when we’re young and trying to break free from them. Can you ever escape from them? If you're the smart one, you're the pretty one, you're the lazy one, you're the flaky one, whatever it is, can you ever escape from them? That was my starting point for the book. Once we got to Springfield when the family moved, I was going to have one character who was going to be there. She was going to have this backstory of working at the Springfield Armory during World War II. The armory, a lot of people, I'm sure, who are listening have never heard of it. I grew up near it, and I really didn't know anything about it. It was started by George Washington. He commissioned it, to have an arms factory in Springfield after the Revolutionary War. It has this very long history. It’s a fascinating place. During World War II, of course as we all know with the Rosie the Riveter stuff, so many women worked in the defense plants. I started the researching the armory. I thought I knew what was going to happen. I thought I was going to have this character. I just wanted to know what job she would have. I was going to do a little bit of research. That was going to be it. Then I started listening to these recorded interviews that someone had the great sense to record of women and men who had worked and lived there during World War II. When I started listening to them, I got so caught up in them. It seemed like such a fascinating place that I decided to set the book there and move the whole time period of my story back twenty years. I was originally going to write this story in the 1960s, the early ‘60s when my mom moved. I decided to make it set at that World War II time period. That's how it came about. The characters really came first. Their conflict and all of that came first. Then the sisterhood of the women at the armory was layered. Lynda: The interviews had women who had all different jobs and all different positions at the armory. That was what was so fascinating. There was an interview with a woman who had put together triggers, just sitting at a table putting all the trigger parts together. That is one of the jobs that I gave one of my characters, Millie. One of the sisters has that job. There was a woman who was an officer’s wife who gave an interview, and a teenager who had lived there who was the daughter of an officer, somebody who took photographs for the armory newsletter, all different kinds of jobs. That, knowing exactly what to do to put together triggers -- I think I'm behind the times. I emailed someone I went to high school with who I knew had gone to military school for college. I was asking him about the M1 Garand, the gun. Before I went to the armory, I'd never held a gun in my life. I'm really afraid of guns. Zibby: I've never even heard of an M1 Grand, so I'm probably with you. Zibby: I'm sure you're getting the weirdest ads now. Lynda: Yes. You get strange ads. Whenever you're a writer, your search history becomes very strange. You just think of things, and you goggle them. It gets crazy. Zibby: That would be a good idea to do an essay or a book about people's search history. Lynda: Search history for novelists? Zibby: Maybe somebody did it already. Lynda: I know people always talk about how they research different poisons and things. [laughs] It would be fun. Zibby: In the book, I loved how you structured all your characters. They became so real for me. I love the scene between Millie, who’s the younger sister, and her dad when she was having all these doubts about her boyfriend. She asked her dad his opinion. He says, “Ach, mameleh, I'm flattered that you want your father’s opinion, but believe me when I tell you, you're asking the wrong person.” Then he says, “When it comes to love, nothing good comes of asking for someone else's opinion. Love is something you have to decide for yourself,” which is so true. We've all been in this situation where I feel like if you have to ask, it means something's missing. Do you ever feel like that? Lynda: I completely agree. It’s difficult. Now, I have a daughter who’s twenty. She's had boyfriends. She’ll talk to me about things. That's kind of different because she's so young. I guess she's not that young. [laughs] When we were in our late twenties and our early thirties and friends of mine were getting married and stuff, it’s hard to know what to say to people when they ask you about their relationships. If you really like the person, it’s easy. If you feel like it’s all going to work out, it’s easy. When you have reservations, it’s really difficult to say to someone that you have serious reservations about the person that they're in a relationship with. I guess it depends on how close you are to the friend. I'm not one for confrontation. I'm a very nonconfrontational person. It’s a really tough thing to do that. Zibby: I remember my dad told me once that a friend of his had asked him when they were in college, a really long time ago. He was friends with both of them. They asked him and he said, “I think this is a terrible idea. This is a huge mistake.” They ended up getting married and then completely cut him out. Eventually they broke up, but it didn't matter because by the time they broke up, the friendships had been destroyed. It doesn't even matter if you're right. You just can't say that stuff. Especially as a parent, it’s hard. Lynda: As a parent, it’s true. Again, my kids are too young. I do have friends who were with someone and then they broke up. Then they ended up marrying them. That's happened with a couple friends. The family might not have forgiven the spouse during the breakup period and might have said things to the person during the breakup period. Then you can't take back all those things you say when the people get back together again. It’s a really difficult thing. I'm not one to ask. I never ask anyone's opinions. I don't ask anyone’s opinions if I go shopping either. If I really need to get something, if I need to get a dress for a certain occasion, I don't want to go with anyone. I only want my own opinion. Other people's opinions get in my head and get me confused, not that a dress is as serious as love. I feel that way. I rely on my own counsel in certain parts of my life. Zibby: I get dressed in the morning and I'm asking my five-year-old daughter, “Does this look okay?” This morning she was like, “I do not like that dress,” so I changed. I like sending pictures from dressing rooms. I need to take a page out of your book. Lynda: If it’s just getting dressed for the day, I might ask. If there's something you need it for and it’s a big deal, I don't know. Zibby: Do you ask people about your writing? When you're in the middle of a draft, do you send it out? Do you ask for people's advice on it? Lynda: Yes and no. I feel like I have to get to a certain point with it where it makes sense and the person can see what I'm doing. If you start sending out too early, then again, people can get in your head and confuse you and maybe send you down the wrong path. You really need to know where you are in your story first. For me, I really need to know exactly. I call it a point of critical mass. I get to a point of critical mass where it’s shaped. I know what it is. I won't be swayed from it. That's the story. Of course, I will take criticism and suggestions about the different scenes, things that should be cut, whatever it is. The story has to get to a certain point. Zibby: Do you have it all mapped out? Do you have it outlined? Is it written or is it just in your head that way? Lynda: It’s in my head. Yesterday, I did an interview. I was asked if I use a whiteboard and index cards and all this. I don't use any of those things, none of those things. It’s all in my head, which is bad. Lynda: It’s constantly churning about things. It’s just the way that I do it. I will write down lists of scenes. That's when I get to a certain point in the book, I know how the next ten scenes will go, the next ten chapters, whatever it is. Maybe it’s a chapter. Maybe it’s just a scene. There might be more than one scene in a chapter. Then I’ll make a list of what is going to happen next. I don’t ever really outline the whole thing. Zibby: How did you get into this? You're a lawyer. You wrote your first book how many years ago? Lynda: It came out in 2016. I was probably working on it since 2010. Zibby: Did you always want to write? Was it something you loved? Lynda: I loved it, but I never really did it. It was one of those things where, theoretically, I would've liked to have been a writer. I grew up in a very middle-class family in western Massachusetts. I didn't know any writers. My mom was very practical. Her thought was, “You have to do something where you can support yourself because we’re not going to be able to support you. You have to do it yourself. You should be a doctor, a lawyer, or an engineer.” Of course, I wasn’t going to be an engineer. I wasn’t going to be a doctor. That left lawyer. Lawyer makes sense for a lot of people. There are a lot of English majors who become lawyers and then are frustrated. Reading and writing is your thing, so you think you're going to use those skills. You do, but it’s to what end? What are you reading? What are you writing? It’s not a novel. It’s not a Victorian novel like I wanted to be reading. It’s the tax code or whatever it is. I really didn't think that being a writer was anything practical that I could make a living at. It wasn’t anything that I ever thought about pursuing. I practiced for eights years. I had my daughter. We moved out of the city. I worked part time a little bit. I was a legal recruiter for a little bit. I just had this story in my head. The Two-Family House was a story I had since my daughter was a baby, in my head, floating in there. I used to talk to people about it and tell the story. It was sort of like an oral story that I would tell. When I would walk with my friends in the mornings, I would tell them this story. Then my mom passed away. Then I turned forty. It was all these big changes in my life. I knew that I had to start writing. It was eating at me. I started taking a class at Sarah Lawrence. That was how I got started. I took that class for almost six years, for five and half years. I wrote the whole book in that class. There was a seminar. I got an agent at the seminar, which was complete luck. She sold the book. It was really lucky, really, really lucky how it all happened after the book was written. Lynda: It was. There's so many novelists who write so many books, and then their seventh or eighth book becomes The New York Times best seller. They say, “I'm an overnight success with my eighth book,” or whatever it is. Zibby: Did you have doubts or anything? I've been hearing a lot about second-book doubt. Lynda: Second-book doubt is real. The second book is hard. For me, I had started working on this other book when my agent was trying to sell the first book. I started working on the second book. I was really excited about it. I talked to her about it and showed her some of it. She liked it, but she said, “Lynda, this can't be your second book,” because it was so different from the first book. She told me this after she had just sold the book. She said, “Your readers will want ‘blah, blah, blah.’” I said, “I don't have any readers. What are you talking about?” She said, “You will.” As soon as it came out of her mouth, as soon as she said it, I knew she was right. I was going down a completely different path. That was really difficult. I got into a point where I didn't write for a little while. First of all, I was really excited and nervous about the publisher buying my first book. Then my second book, I was like, “I don't know what to do. I don't know what to do. What should I do? What should I do?” I had this hundred pages. I put it away. I was trying to come up with the next story. Then I decided I wanted to write another family story. That's when The Wartime Sisters started brewing in my head. Getting to that point took me a little while. Zibby: Do you have a sister? Lynda: I don't have a sister, no. Someone actually recently pointed out to me that it’s really good that I don't have a sister. If I did, she would think I was writing about her. Zibby: You'd be in huge trouble. [laughs] There was another great moment in the book that I thought was really beautifully written when Millie is debating befriending someone when she's in her armory life. You wrote, “Millie had spent her first few months in Springfield trying to fit into her sister’s life. She had folded herself up like a torn scrap of paper, end over end, making herself small. She had tiptoed and whispered and confined herself to corners, all the while taking up as little space as possible, but she was done with all that. It was time for a change.” This was like confessions of a summerhouse guest. It’s like when you try to take up less physical space in the world, that feeling. Where did you summon that image from? Lynda: I don't know. I really love that part too. It makes me happy that you picked that passage. I do love that passage also. I think that happens a lot. A summerhouse guest is a classic example. It happens in marriages. It happens as a mother sometimes. It happens whenever you give up your own needs for someone else's. At some points in your life, that's okay to do and that's appropriate to do. At some points, it’s not. In this case, she was throwing herself at her sister’s mercy for a place to stay. There comes a time when she realized she had to make her own life too. She couldn't not have any friends or not live a more fulfilling life just because her sister wanted to have her be seen and not heard from or whatever it was. Lynda: When you're living with someone, that's the hold up. It’s a power struggle. That's why I think that happens in marriage sometimes. With motherhood, I've felt that way sometimes as a mother, not that I was doing that because my children were wanting me to. They didn't even know. They were little. You do give up your own needs sometimes. Self-care takes a huge backseat. You're just living your life for your kids at certain ages. You have four children. I don't have to tell you. Zibby: Uh, yeah. [laughs] There was a day where I was like, “I can't remember the last time I sat down to eat.” It’s one of those things. That's a tiny example. This great expression you have in the book -- there was this phone call that you recount between Ruth, the older sister, and her dad when she's urging him to be careful while he's driving because it was late at night. He says, “I never sleep anymore.” Then he says, “Small children don't let you sleep. Big children don't let you rest,” which was great. I feel like I need to put that on the board. I had not heard that before. Lynda: It’s a good expression. It’s a variation on “Little children, little problems. Big children, big problems.” It’s a variation on that. Zibby: That, I've heard. This is different. It’s what required of you. Lynda: The stakes are higher. The older they get, stakes are higher. Their pain becomes more real and more relatable. You can't control it. Lynda: It is. I have a sixteen-year-old and a twenty-year-old. I remember very well when they were babies and when they were little. When they're little, you don't sleep. There are little problems. There's another expression that my mother-in-law always says, which is another good one, which is, “You're only as happy as your least happy child.” I think that's true. It’s not true for everyone. There are some people who are really able to take their motherhood role and separate it. There are people who can compartmentalize it. I'm not friends with any of those people. Lynda: I live up in Westchester. I was so lucky when I moved there. My daughter started preschool at age two. I met this wonderful group of women. There are three or four of us. There are many kinds of mothers, but what we used to say was, “There are two kinds of mothers.” You’re at somebody's house. It’s a group playdate. The mothers are kind of in one place and the kids are in the other. You hear a scream. There are the mothers who run because they think their children are being hurt. Then there are the mothers who run in and say to their child, “What did you do?” and assume the worst and are completely fixated on making sure that their children are going to be nice people. “You're going to be nice if I have to knock all the meanness out of you.” We were always the ones that ran in and said, “What did you do?” Those were my people. The people who can compartmentalize, it’s a foreign thing to me. I know there are people who can do it. I think it’s a really healthy thing. I wish I could do it. I really wish I could. Zibby: I do too. It sounds great. I also think there's something about in terms of the least happy kid, it’s like they always know how to take turns. As soon as I get someone on better footing, as soon as one of them in a good place -- I'm doing this with my finger, which no one can see. You know those magicians who balance a spinning plate on a stick? Once I get one kid swirling perfectly on the stick and I hand off the stick to focus on the next one, then of course the plate breaks. Lynda: With four, it has to be really complicated. Zibby: With two, it’s still this balance. Lynda, Yes, but the law of numbers, I just mean that it’s harder with four than with two. Zibby: I'm actually even only talking about my older kids, to be perfectly honest at this point. My little kids, the dog is sitting the wrong way on the bed, that's a big deal. Lynda: The older they get, the more you can relate to their pain. It becomes more adult. It becomes more real. They have to figure out their own things. Resilience is the most important lesson to teach them. It just is. Disappointments are so hard, but they do learn from them. Zibby: That's one of the themes of your book is rebounding and getting through stuff, figuring out how to take what life is throwing your way and make something of it. They go through a lot of stuff in your book. Lynda: They do. They go through a lot. It’s also you can't hold these grudges, with siblings or whatever it is. You wronged someone in the past. You can't blame your mother for all your problems. You can't blame people. I try to explain it. My kids will say, “You didn't like being a lawyer, but your mom wanted you to be a lawyer.” I don't blame my mother. It’s not like my mother forced me to be a lawyer. I wasn’t sophisticated enough to figure out that I didn't have to be a lawyer. That was on me. It was a lazy decision to go to law school. It was lazy. It was easy because you're in school, then you just go to more school. If I had taken the reins and said, “You know what? I'm going to do something else. I'm going to research it. I'm going to figure out what it is,” then it would've been a different path. At some point, you have to take responsibility for all the things that happened to you. It’s tough. Zibby: Are you working on another book now? Lynda: I am working on another book. That book that was my second book, that is not my second book, I have changed it a lot and added a different character. That's going to be my third book. I'm really, really excited about it. I'm not quite ready to really talk about it too much. In a way, it’s an immigrant story. It’s set in the early 1900s. It’s even earlier than this book. It follows two Italian immigrants and an Eastern European immigrant. They all end up in Boston’s North End. It sounds like it’s so different from the first two books, but it’s really all about relationships again. There is a pair of warring sisters who don't get along. I think that the people who liked my first two books will really like this one too. I'm having a lot of fun writing it. Research takes you in all these crazy ways, so now I just was reading a book about the Russian Revolution. I'm trying to figure out all of the reasons for why my Eastern European immigrant is leaving and how he’s going to get to the North End and all these things. It’s requiring me to have an understanding of the Russian Revolution, or the early stages of it. That's not anything I've ever learned about before. Zibby: That's awesome. Do you have any advice to aspiring writers? Lynda: You just have to write. Having a community is really important. I felt like a writer when I started my class. You need other people to bounce things off of. I know it goes back to that question, do I show people my stuff? Even if you're not showing people your stuff, just even to talk about the whole process with, it’s important to have people to commiserate with and other people who understand what it is to go through that process and to want to put a story on paper. I would say definitely take a class or find a writers’ group. Find some people who are doing the same thing that you're doing. Try to think of yourself as a writer. If you don't think of yourself that way and legitimize what you're doing, then it’s really hard for other people to think of you that way too. That was a tough thing for me to start calling myself a writer. Zibby: Excellent advice. I’ll call you a writer. Zibby: I think at this point, it’s okay. 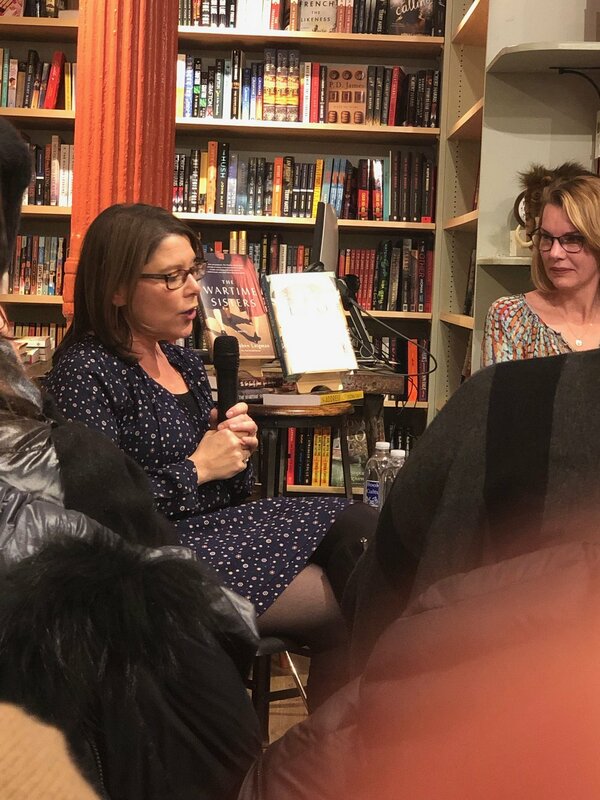 Thank you so much for spending time on “Moms Don't Have Time to Read Books.” I feel like I'm going to show up and crash one of your friend group nights. Your friend group sounds awesome. I can totally relate. Lynda: You should. You should come. At a book reading at Book Culture Columbus.